Ashley Barnes and Craig Mackail-Smith both scored braces in a thrilling game as Brighton thrashed Barnsley 5-1 in the Championship. 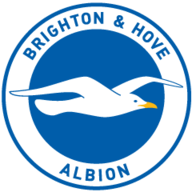 The Seagulls had not found the net in their previous three matches this season, prompting manager Gus Poyet to step up his search for a new striker. But his current frontline sent a message to the boss with Barnes opening and completing the scoring and Mackail-Smith grabbing his brace either side of half-time. And on what was obviously the day to end goal droughts, Wayne Bridge scored his first league goal in nearly nine years as Brighton finally got their season up and running. The 30-year-old defender, on loan with the Seagulls from Manchester City, struck a long-range effort as Poyet's side picked up their first win of the Championship campaign. Former Brighton striker Craig Davies did pull one back from the penalty spot but the Tykes were well beaten and slipped to a second straight defeat. The previously shot-shy hosts got off to the perfect start with a goal after only four minutes. Barnsley goalkeeper David Gonzalez, who had a spell with the Seagulls last term, spilled Craig Noone's free-kick and Barnes was on hand to half-volley the ball into the net. Eleven minutes later Bridge collected a pass from Liam Bridcutt and, as Barnsley back-tracked, the former England left-back crashed in a 25-yard drive which flew through a sea of bodies and low into the corner of the net. It was Bridge's first league goal since he found the net for Chelsea against Portsmouth in December 2003. 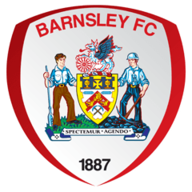 Barnsley were thrown a lifeline after 34 minutes when Andrew Crofts brought down Jacob Mellis in the area and Davies converted the penalty, despite Tomasz Kuszczak getting a touch. But three minutes later the hosts restored their two-goal cushion when Spanish full-back Bruno raided down the right. His cross was missed by the unconvincing Gonzalez and Mackail-Smith was on hand to tap in at the far post. Barnsley have not come from behind to win an away game since they beat Blackpool in December 2009, and their faint hopes of doing so disappeared three minutes after the interval. John Stones was muscled off the ball by the diminutive Noone and his cross was headed on by Barnes for Mackail-Smith to tuck in his second. And 10 minutes from time, substitute Kazenga LuaLua reached the byline and crossed for Barnes to fire his second and Brighton's fifth.